What is in a Turkey Basket? A personal Thanksgiving message from you, your family or group. On the Saturday before Thanksgiving, we gather with dozens of volunteers to delivery over 100 laundry baskets full of Turkey Dinner to our neighbors in need in just a few hours. This effort is about one thing - dignity. By delivering the ingredients for Thanksgiving dinner, our neighbors get to celebrate at home, gathered around their own table, with their family and friends. This is one of our most favorite days of the year - you don’t want to miss out! 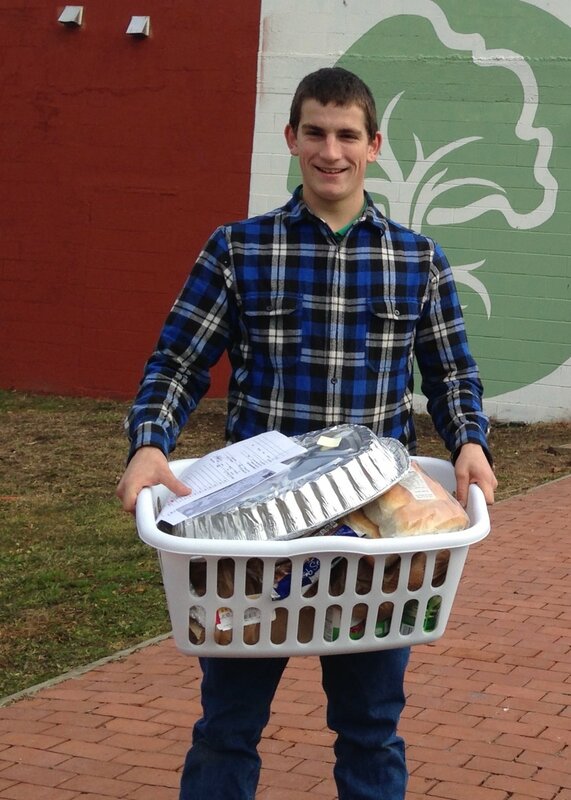 Deliver 125 Baskets full of Thanksgiving goodness to 100 families in 1 day. Full Turkey Baskets must be brought to The Root Cellar on the morning of Saturday, November 17th. Volunteers will then be dispatched to hand deliver the baskets to a pre-registered family. You are the best chance that many of our neighbors have a great Thanksgiving. Please consider donating a Turkey Basket to a family in need. Can't afford to give a full basket? Combine your efforts with your church, small group, extended family, friends, or neighbors! We need a small army to pull this off. Delivery teams, site dispatchers, and others will be needed! Why not meet the family that you are blessing? We would love to connect you with our neighbors this Thanksgiving. Take this opportunity to start a new family tradition! Need more info? Call us @ 207-782-3659.